Are you scratching your head wondering what it takes to get a job as a designer? Getting a job in the design industry is harder than ever. Especially if you are new to the field. Plenty of the emerging designers I've mentored have gotten positions working in some of the largest companies in the world. Many of them with only 10 weeks of design training. After seeing enough of these results I can tell you they aren't a chance occurrence. With a good process and the right tactics, you can make your living as a designer as well. 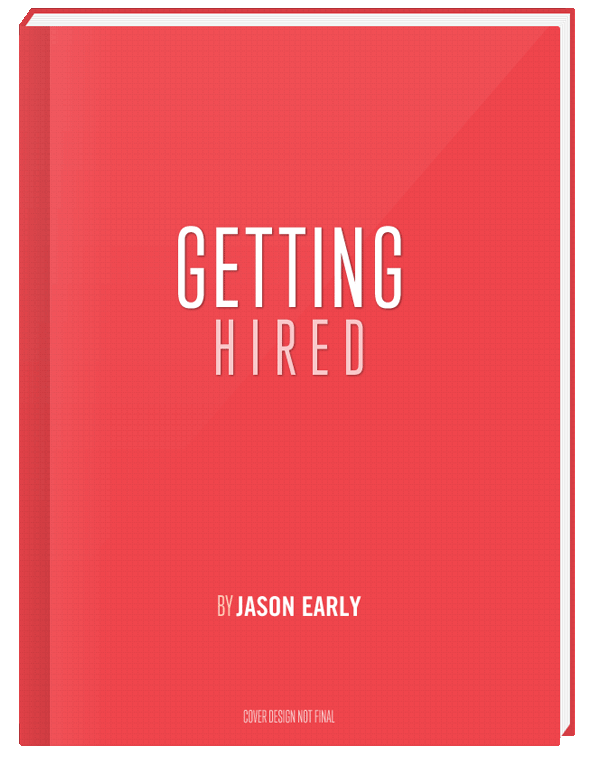 Getting Hired is coming out this year, signup to get an exclusive discount. Jason Early is the Founder and Designer of gruntmonkey, a design consultancy that specializes in helping clients plan, implement, and evolve their business into a successful venture.